Novel microsensing technology that reflects microvascular perfusion and oxygen supply in tissue shows promise in patients with chronic limb-threatening ischemia. This article was originally posted here, on the Endovascular Today website. Endovascular therapy (EVT) has dramatically changed the way we treat patients with chronic limb-threatening ischemia (CLTI). At an early stage, minimally invasive therapies were used to treat high-risk surgical candidates, but today, many opinion leaders consider EVT to be the primary approach of care. With the development of robust technical skills and more appropriate technology, operators are able to treat more complex and distal disease patterns. This perfect storm of technical skills and advanced tools makes the question of what’s possible less relevant and the question of what’s appropriate extremely relevant. Conte et al underscored the need to establish objective performance goals for emerging endovascular technologies by comparing their safety, efficacy, and durability to the open standard-of-care approach.1 Specific risk subgroups merit different thresholds for intervention, such as age > 80 years and presence of tissue loss and/or infrapopliteal disease. When dealing with the infra­popliteal anatomy, a comparable benchmark may be difficult, given the broad spectrum of tools and numerous potential treatment targets of below-the-knee and below-the-ankle vessels, as opposed to the classic single-target distal bypass. As endovascular advancements are further investigated and understood, novel performance goals such as regional oxygenation/perfusion changes that lead to successful wound healing and remission may become the answer in the near future. Segmental blood pressure measurements are commonly used to diagnose or evaluate CLTI therapies.7 These measurements include the ankle-brachial index (ABI), which is the ratio of the arterial blood pressure at the ankle to that of the upper arm, and the toe-brachial index (TBI), which is the ratio of the arterial blood pressure at the toes to that of the upper arm. ABI is known to have limited predictive value in patients with vascular stiffness and is a poor predictor of revascularization failure.8 Evidence exists that TBI has predictive power for assessing treatment outcome, with TBI changes above a set threshold before and after revascularization that are informative of treatment outcome.9 Nevertheless, toe-related measurements are limited, especially when ischemia-related wounds reside at the toes. Moreover, neither ABI nor TBI are continuously measured during the revascularization procedure. Novel microsensing technology potentially addresses the limitations of segmental blood pressure measurements in two ways. First, it provides direct measurement of local tissue oxygen, which links the arterial hemodynamics to the function of the microvessels within the ischemic limb. Second, it provides continuous measurements throughout the revascularization procedure, whereas other modalities do not. 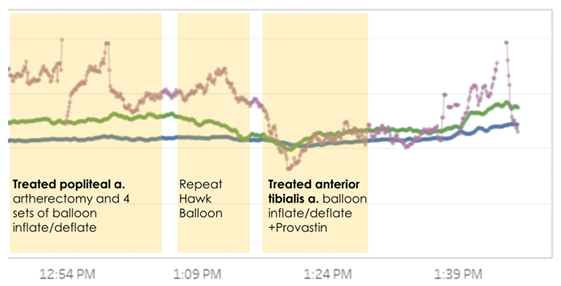 Novel microsensing technology enables repeated monitoring and assessment of the revascularization success over a longer period of time, introducing a new era for surveillance. This said, one could envision an era in which remote monitoring could lead to prompt identification of therapeutic failure, early reintervention, improvement in limb salvage rates, and overall system cost sparing. The Lumee Oxygen Platform (Profusa, Inc.) has been developed to provide a method of monitoring subcutaneous tissue oxygen in the body. The technology is based on the principles of optical spectroscopy and phosphorescence quenching of metalloporphyrins, which are commonly used in medical and research applications. 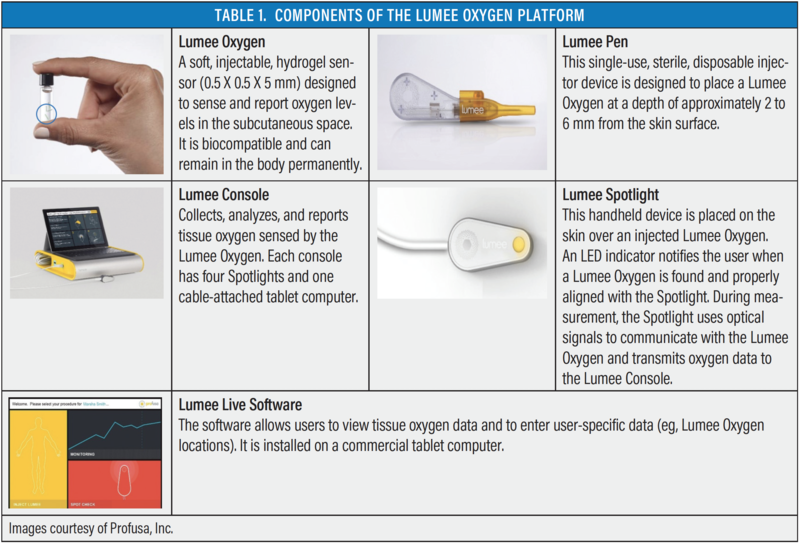 The Lumee Oxygen Platform consists of four components: (1) the Lumee Oxygen hydrogel sensor, (2) the Lumee Pen injector, (3) the Lumee Console, and (4) the Lumee Spotlight readers as well as the associated software (Table 1). At present, the system has European CE Mark approval for measuring oxygen in subcutaneous tissue. 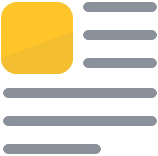 The Lumee Oxygen Platform has not been approved in the United States. The device is designed for use in medical facilities, including physician offices, hospitals, and ambulatory care clinics. Figure 1. LOI is a unitless measure of concentration based on bench calibration of phosphorescence lifetime decay and is directly correlated with oxygen level surrounding the sensor. It is a robust parameter unaffected by variations in the optical properties of the tissue. Up to four Spotlights can send the collected signal to the Lumee Console, which has a typical sampling rate of approximately once every 5 seconds. To obtain a measurement, a clinician first injects one or more sensors at a depth of 3 to 6 mm below the surface of the skin. Then, the Spotlight handheld device consisting of an LED and a photodetector is placed onto the surface of the skin directly above the embedded sensor. Subsequently, the Spotlight’s LED emits a near-infrared light signal, which excites a metalloporphyrin molecule inside the sensor. In return, the sensor sends back a light signal that passes onto the photodetector (Figure 1). 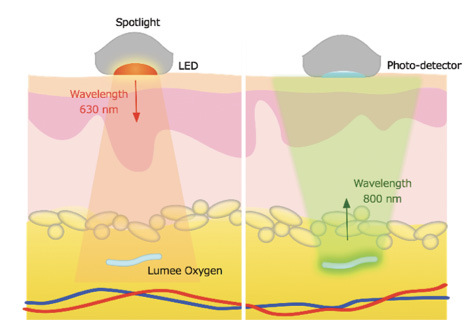 The return-light signal changes relative to the oxygen concentration of the tissue surrounding the sensor and is displayed on the console as the Lumee Oxygen Index (LOI). The OMNIA study is an ongoing study being conducted at three European centers that aims to explore the use of the Lumee Oxygen Platform in CLTI patients and characterize its diagnostic value. Patients are eligible if they have CLTI symptoms, have Rutherford class 4 or 5 disease, and are scheduled to undergo an endovascular revascularization procedure. Lumee Oxygen Sensors are inserted subcutaneously a day or more before the planned endovascular revascularization procedure. Three sensors are placed in the foot area of the affected limb, and one sensor is placed in the upper arm as a reference. Tissue oxygen is monitored using the platform immediately before and during revascularization, a day after revascularization, and at additional follow-up visits for up to 1 year. The presentation of initial results will depend on enrollment, and thus it is difficult to predict when they will be available. Figure 2. Preintervention angiography showing high-degree stenosis in the popliteal and anterior tibial arteries (A). Postintervention imaging showing resolution of the popliteal and anterior tibial artery stenosis (B). Figure 3. LOI versus time. A curve of the microsensors’ behavior during the procedure. As the last part of the anatomy is treated, the curve shows an increase in the LOI, regardless of some disease left untreated at the other arterial beds. Figure 4. Clinical evolution of the wound showing dramatic improvement after revascularization. A 65-year-old man with a past medical history of diabetes, hypertension, and hyperlipidemia presented for a consult for a nonhealing wound on the first toe of the left foot. The wound was Rutherford class 5 and Wound 2, Ischemia 2, foot Infection 2 (WIfI) classification. An angiogram showed > 90% stenosis of the popliteal artery and diffuse three-vessel below-the-knee disease. The decision was made to proceed with atherectomy and use a of drug-coated balloon angioplasty of a single tibial vessel (anterior tibial artery) (Figure 2). Continuous measurements of Lumee Oxygen Sensors during revascularization show increases in tissue oxygen following the final intervention, with the largest increase observed in the sensor located nearest to the wound (Figure 3). The patient experienced complete wound healing within 6 months (Figure 4). In retrospective analysis, because the OMNIA study blinds the operator from the intraoperative data, the decision to limit the diffuse tibial intervention to a single-vessel approach leading to successful healing appears to have been the most appropriate care route. As the data are further validated, these oxygen levels may become a valid threshold for interventionalists to aim for. As with any new tool, robust clinical data will lead the way to widespread adoption. Although at an early stage, the use of oxygen-sensing platforms as a metric of regional oxygenation during revascularization has the potential to be a disruptive technology. The concept of optimal revascularization is changing and turning away from the rigid angiosome concept and fluoroscopy-acquired images. In patients with CLTI, what counts is the increase in regional microcirculation. Current therapeutic algorithms are in desperate need of standardization, which will come as emerging performance goals are developed and validated. Initial experience with the Lumee Oxygen Platform shows promise, and it may become a tool that is increasingly used for this purpose. 1. Conte MS, Geraghty PJ, Bradbury AW, et al. Suggested objective performance goals and clinical trial design for evaluating catheter-based treatment of critical limb ischemia. J Vasc Surg. 2009;50:1462-1473. 2. Diehm N, Baumgartner I, Jaff M, et al. A call for uniform reporting standards in studies assessing endovascular treatment for chronic ischaemia of lower limit arteries. Eur Heart J. 2007;28:798-805. 3. Elliot BM, Robison JG, Brothers TE, Cross MA. Limitations of peroneal artery bypass grafting for limb salvage. J Vasc Surg. 1993;18:891-898. 4. Johnson BL, Glickman MH, Bandyk DF, Esses GE. Failure of foot salvage in patients with end-stage renal disease after surgical revascularization. J Vasc Surg. 1995;22:280-285. 5. Triman GS, Oderich GS, Ashrafi A, Schneider PA. Management of ischemic heel ulceration and gangrene: an evaluation of factors associated with successful healing. J Vasc Surg. 2000;31:1110-1118. 6. Reekers JA, Koelemay MJ, Marquering HA, van Bavel ET. Functional imaging of the foot with perfusion angiography in critical limb ischemia. Cardiovasc Intervent Radiol. 2016;39:183-189. 7. Bunte MC, Jacob J, Nudelman B, Shishehbor MH. Validation of the relationship between ankle-brachial and toe-brachial indices and infragenicular arterial patency in critical limb ischemia. Vasc Med. 2015;20:23-29. 8. Aboyans V, Criqui MH, Abraham P, et al. Measurement and interpretation of the ankle-brachial index: a scientific statement from the American Heart Association. Circulation. 2012;126:2890-2909. 9. Reed GW, Young L, Bagh I, et al. Hemodynamic assessment before and after endovascular therapy for critical limb ischemia and association with clinical outcomes. J Am Coll Cardiol Interv. 2017;10:2451-2457. 10. Montero-Baker MF, Au-Yeung KY, Wisniewski NA, et al. The first-in-man “Si Se Puede” study for the use of micro-oxygen sensors (MOXYs) to determine dynamic relative oxygen indices in the feet of patients with limb-threatening ischemia during endovascular therapy. J Vasc Surg. 2015;61:1501-1509. Disclosures: Proctor, educator, advisor for Abbott, Medtronic, Philips, and Cook Medical; stock options/ownership in Profusa, Inc. and Thermopeutics.